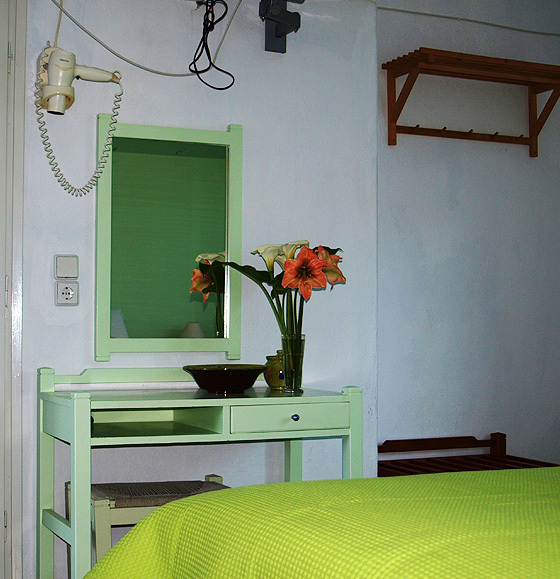 IKION has 6 studios and 4 rooms. Half of them are overlooking a lush garden and a little sea and the other half on the first floor overlooking the sea. All the complex is equipped with mattresses COCO-MAT. 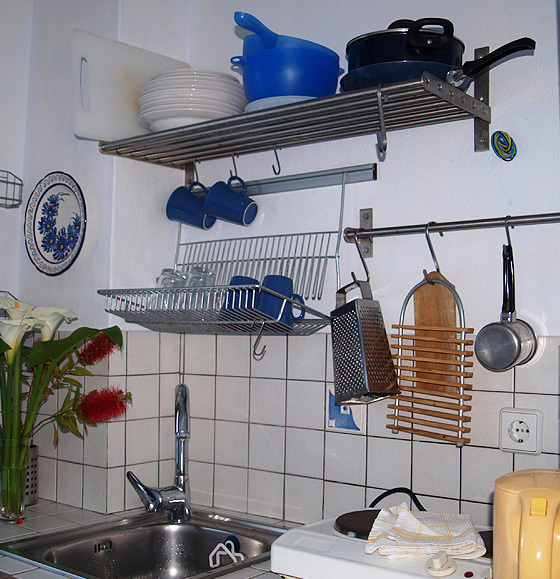 The studios dispose of a fully equipped kitchen, where one can prepare breakfast and small meals. 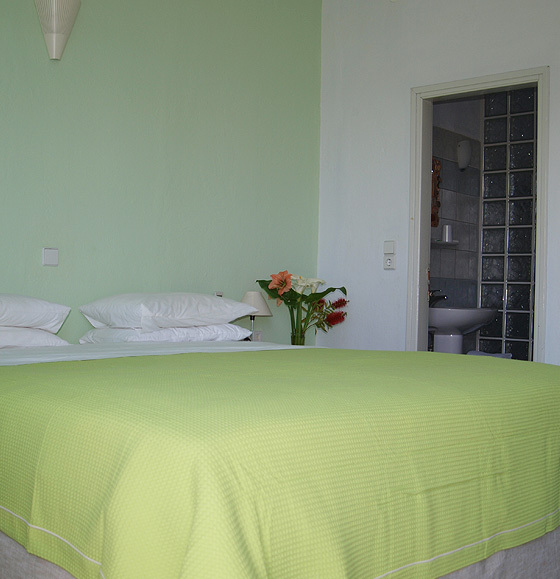 Each studio has its own individual side to side balcony, with a breathtaking view of the sea and of the bloomy garden, TV, airconditioning, refrigerator, internet και mattresses COCO-MAT. Each room has its own individual side to side balcony, with a breathtaking view of the sea and of the bloomy garden, TV, airconditioning, refrigerator, internet και mattresses COCO-MAT. The tenants can use the spacious common spaces to bake bread and meals in the traditional ovens, or fish and meat in the outdoor grills. People with movement disabilities can also stay in the rooms, as there are ramps facilitating the access to the common spaces and rooms. There is also spacious parking space for cars, trailers, inflatable boats etc. CAUTION, VODAFONE AND WIND DOES NOT HAVE NETWORK AT STENI VALA, ONLY COSMOTE !!! *The prices are in Euros. For further information please contact us using the communication form, or by telephone. If you are interested in booking IKION GROUP, please call us at +30 24240 65158 or complete the Online Booking Form of Interest. © 2016 IKION Group. All Rights Reserved | Photos Vasilios Drosakis | Website Development ITBIZ.